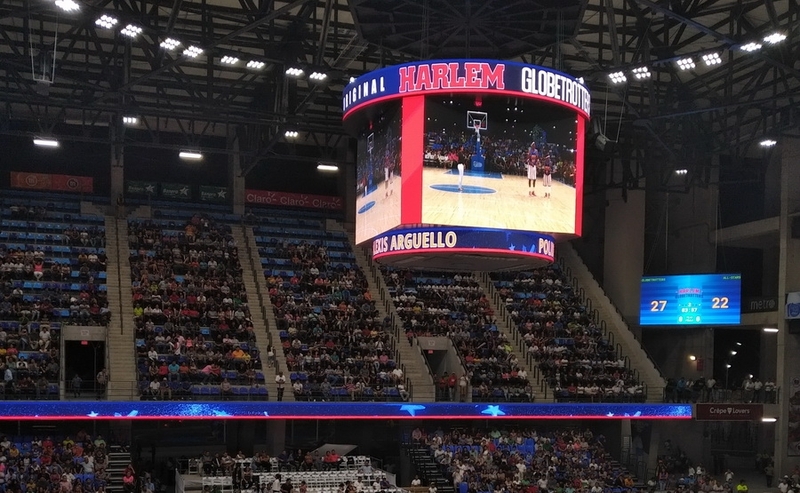 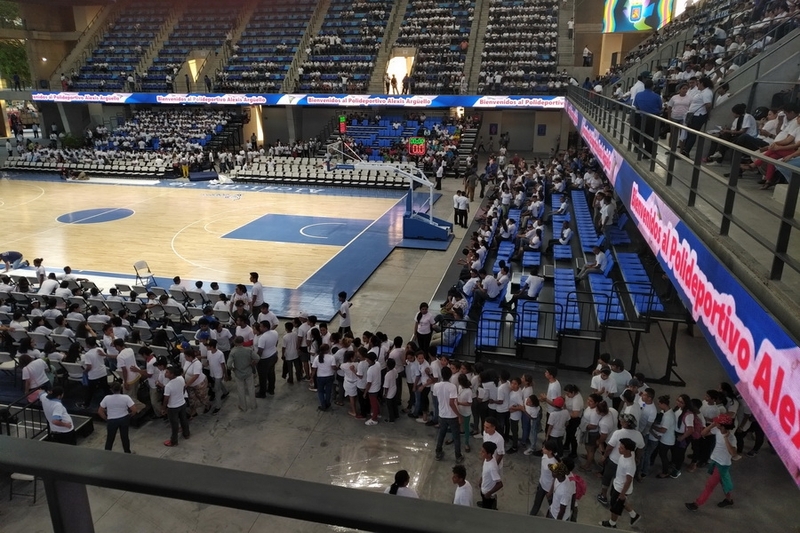 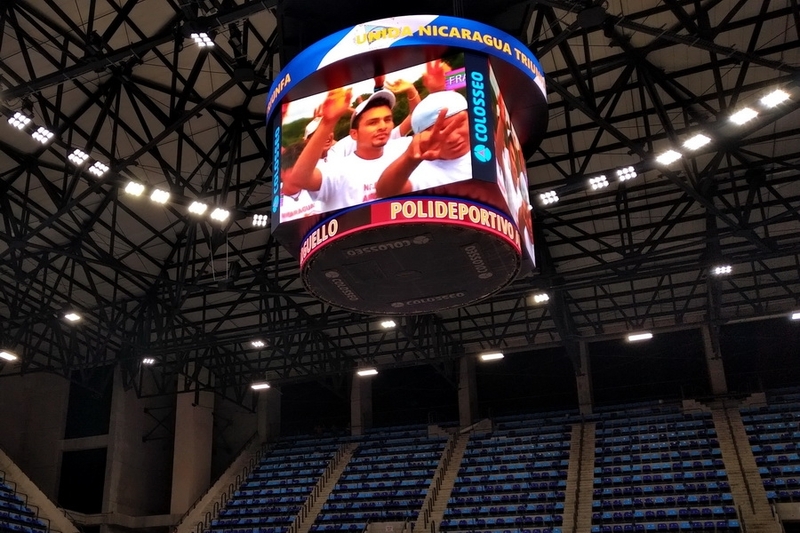 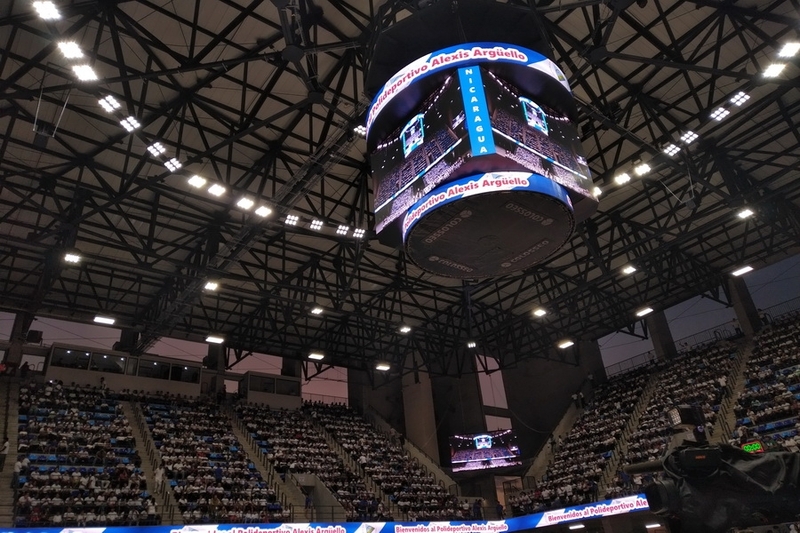 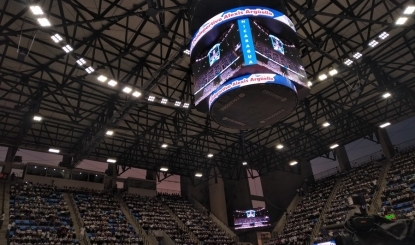 Alexis Arguello Sports Complex became Nicaragua’s second brand new sports venue complex with Colosseo technology for the upcoming 11th Central American Games and was officially revealed to the world last weekend with the presence of the countries’ President, Mr. Daniel Ortega. 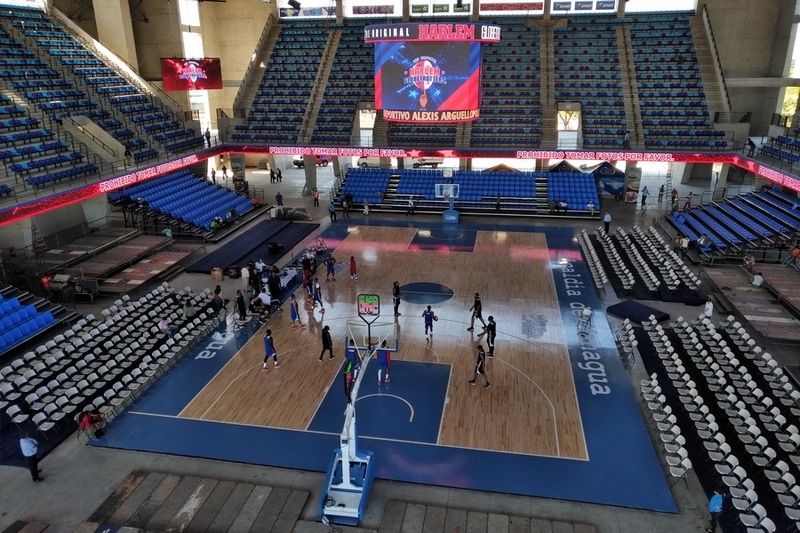 The complex consists of the main indoor multipurpose hall with open architecture along with the outdoor swimming pool part, spread out on a total area of 8.500 sqm. 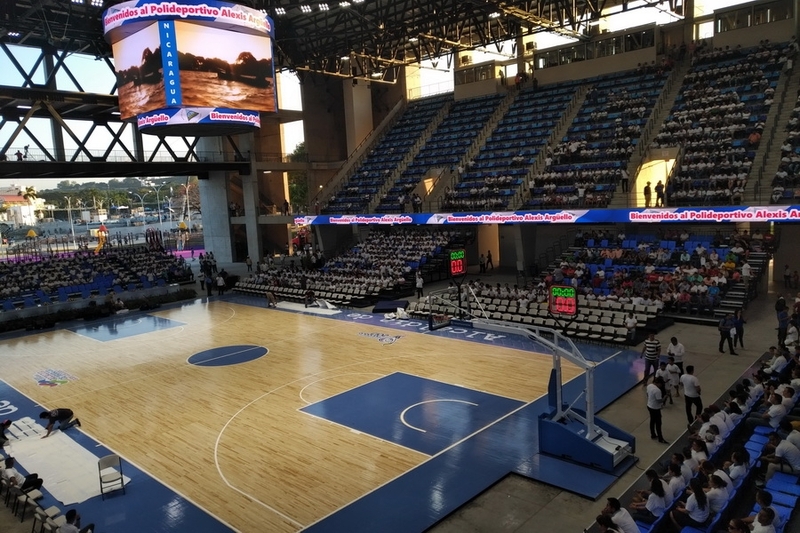 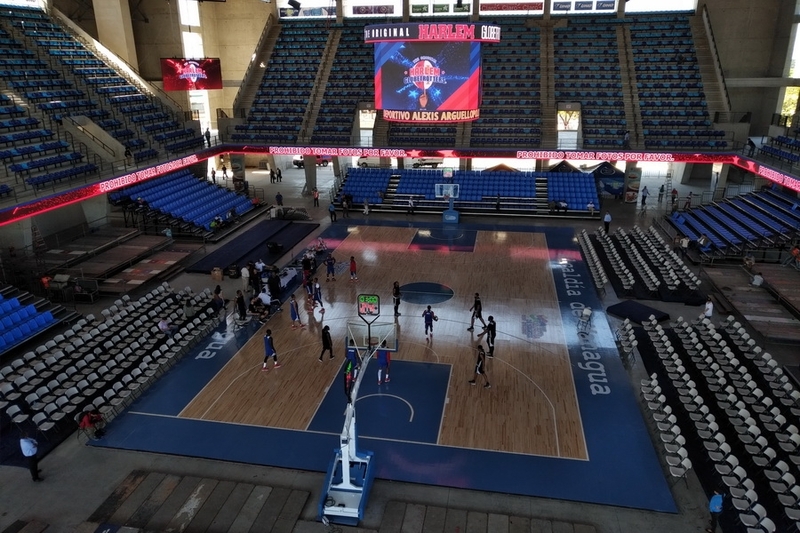 The indoor hall, named after famous Nicaraguan boxer Alexis Arguello, with capacity for 8,057 visitors will be the main venue for the upcoming games and was completely equipped with the latest Colosseo cutting-edge technologies, along with the adjacent swimming pool area. 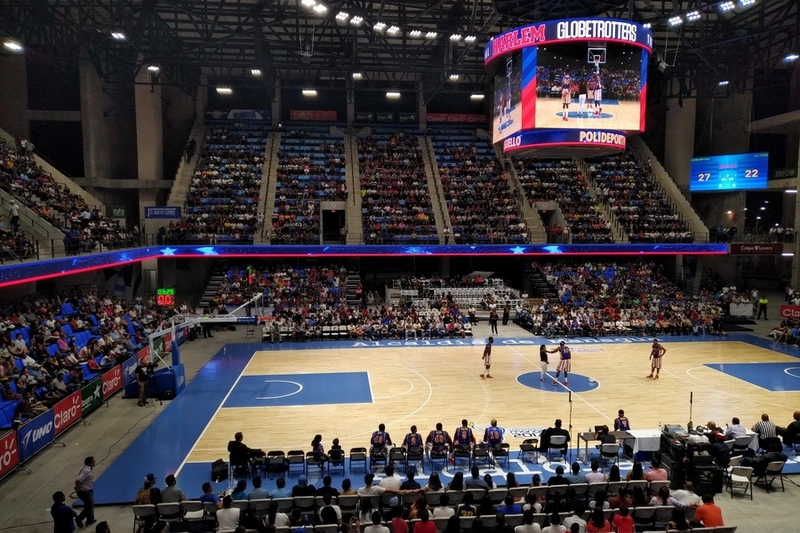 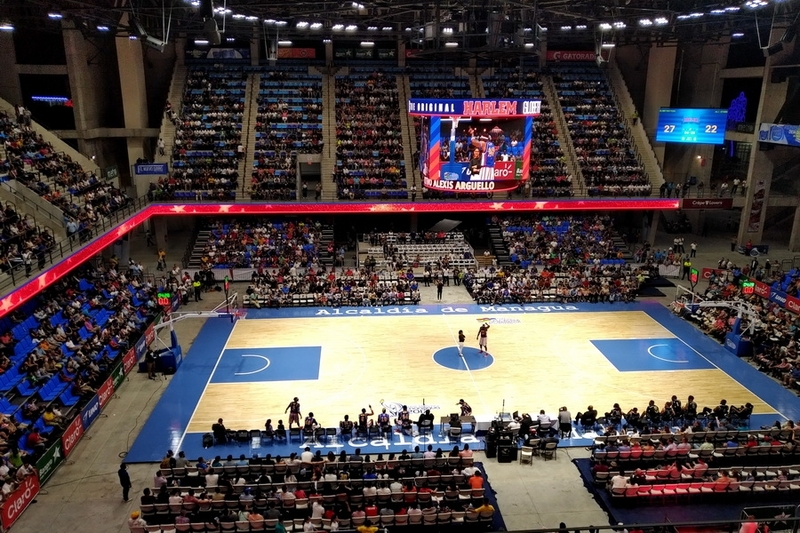 The dominant feature of the venue is a custom designed center-hung video board that features the latest 6 mm line spacing, supplemented with the LED ribbon board and two LED scoreboard displays with FIBA certified video system, while the swimming pool area will feature a giant rotating LED display placed on the pillar. 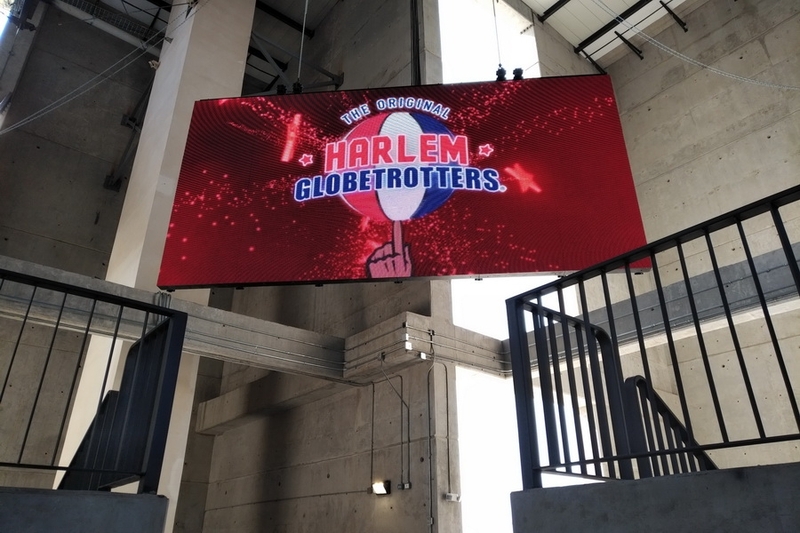 Game presentation, animations, digital signage and instant replays are under the control of the market leading Colosseo Single Media Platform, delivering various content in up to 3G resolution to all LED displays as well as to 30 professional TV panels with Colosseo Interactive IPTV that were also installed across the venue. 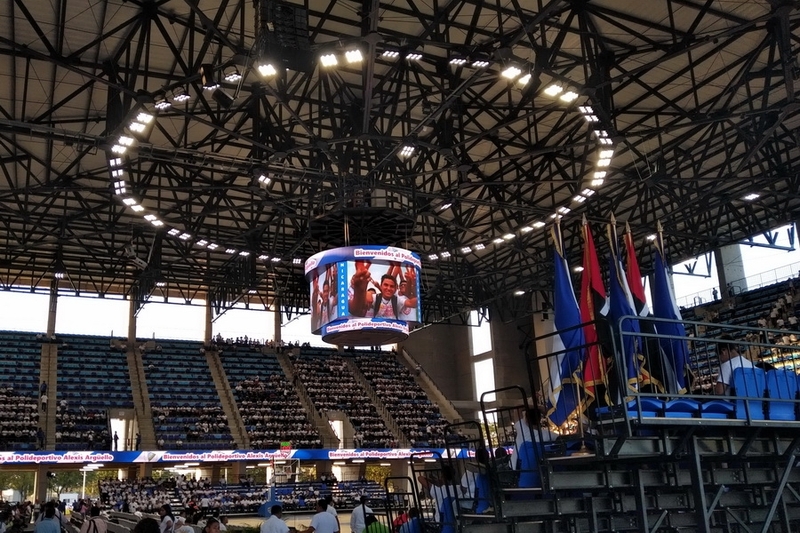 A modern, IP configurable audio system was also installed, enabling detailed control of the audio coverage for various events. 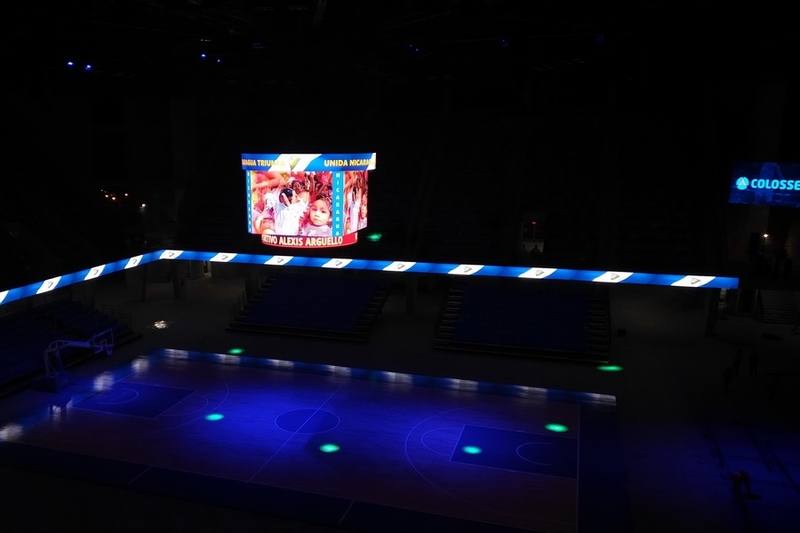 Colosseo also manages timekeeping – Colosseo TIMER console controls the timekeeping, scoring and statistics in the main hall and also seamlessly integrated third party timekeeping output from the swimming pools, able to show any necessary statistical information on any LED display. 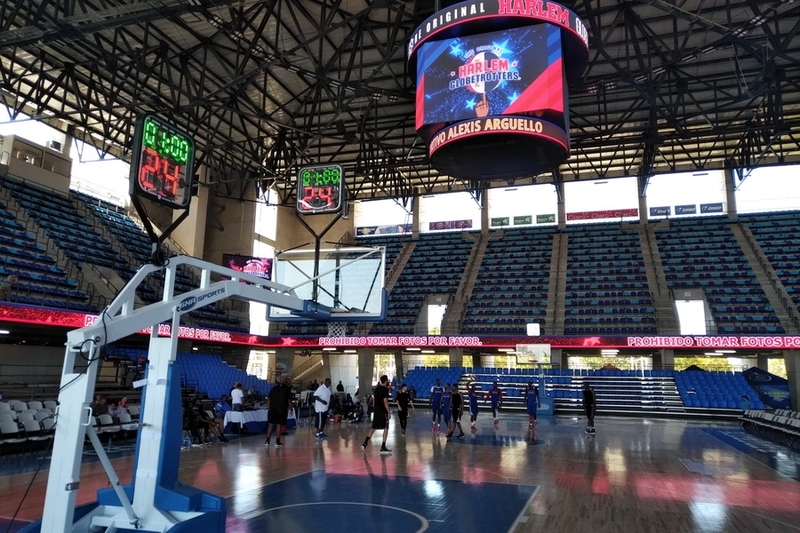 The installation in Managua was one of the most comprehensive installations of this year and proves that Colosseo is capable of covering all requirements and needs of modern sport venues in one turnkey solution, where all parts of the system are seamlessly integrated with ultra-speed data exchange, while the arena operator can feel at ease thanks to the system’s stability and reliability.